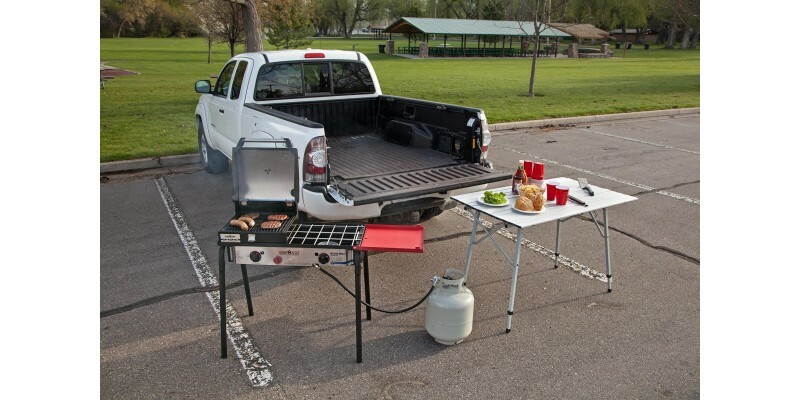 The Big Gas Grill 2X is your first step into tailgating/outdoor cooking mastery. 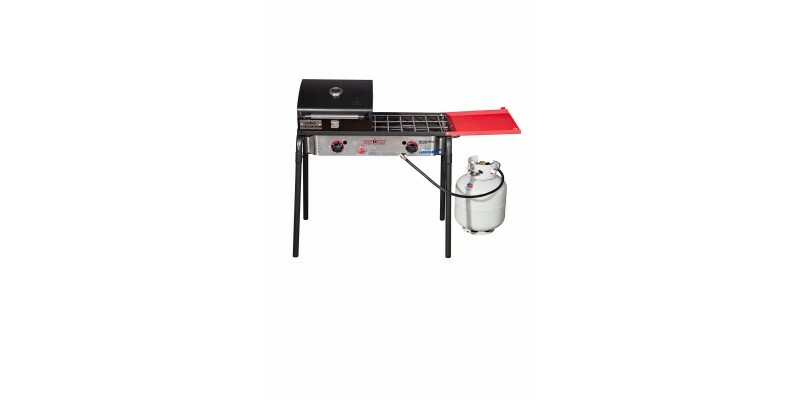 Two 30,000 BTU burners will easily conquer any conditions so you can cook anytime, anywhere. 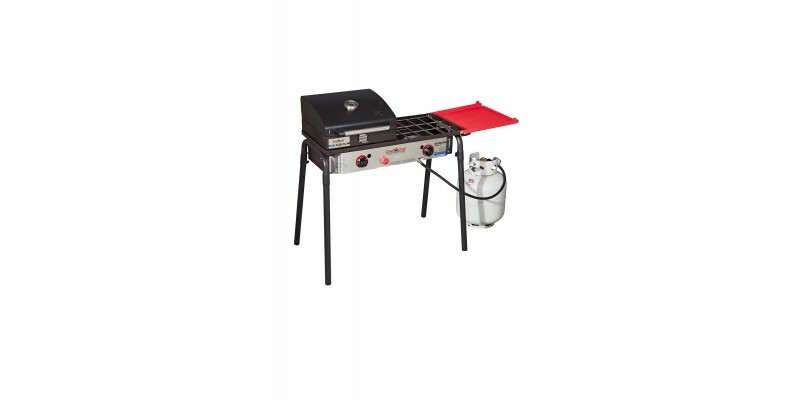 Go from unboxing to BBQ in minutes with the included BBQ box. Explore more flavors and new places to set up camp (or should we say kitchen) by simply detaching the legs and bringing it on your next adventure. 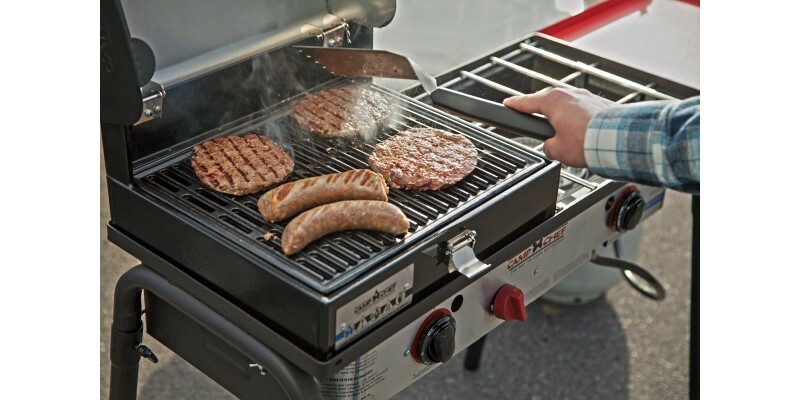 Expand your cooking possibilities even further by adding a griddle, pizza oven or any of our other compatible 14” accessories. 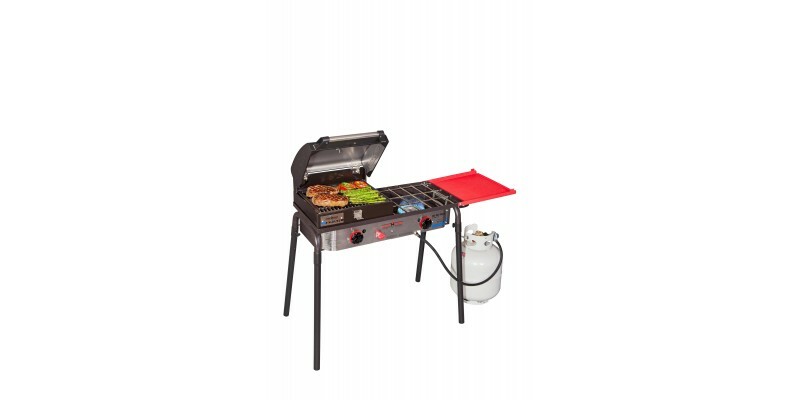 Camp Chef Big Gas Grill 2X is rated 4.0 out of 5 by 1. Rated 4 out of 5 by Ricky from Great to grill steaks. 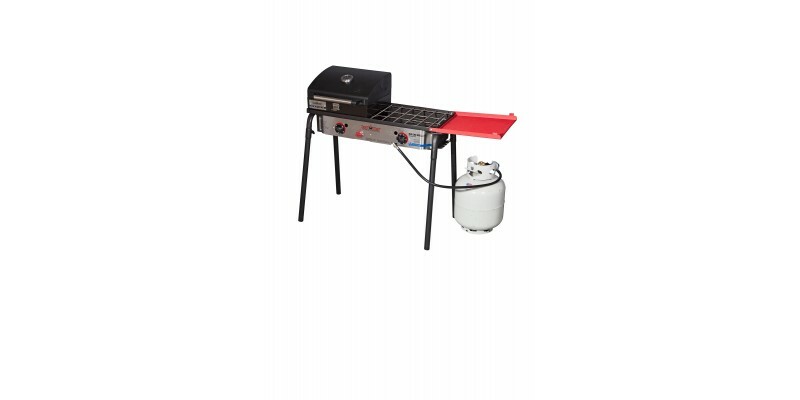 I bought this because it has the 30,000 BTU burners. 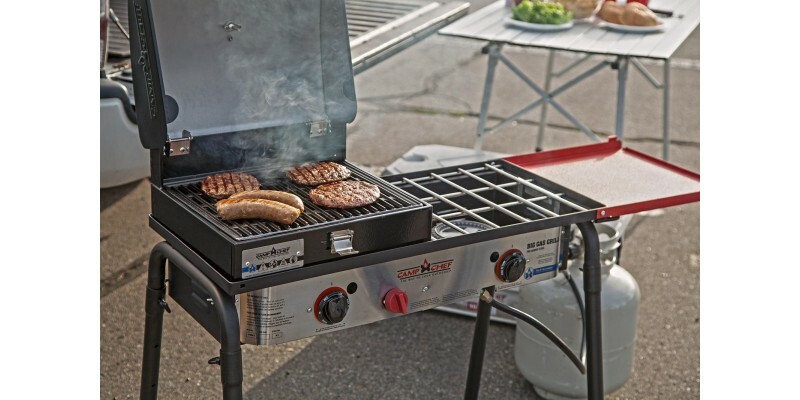 YOU can heat this grill so that steaks are cooked in just 2 minutes for 1 inch or 3 minutes for 1 1/2 inch steaks. Love to use. Two issues that I have found with it. The labels for the cook box did not hold up to the heat so it looks used very quick. The regulator with the safety feature makes it hard to get the burner going. It will only burn on low flame. Have to turn off and wait and wait for it to reset.